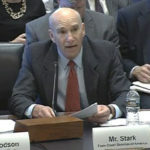 Doug Stark testifying before the House Agriculture Committee. Land values are one indicator of the health of the farm economy, according to Stark. “When land comes up for sale in these local areas, there’s still pretty active bidding on it and that tells us that producers are still doing fairly well,” Stark said. 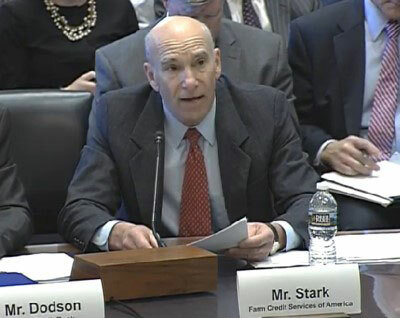 He testified this week at a House Agriculture Committee hearing reviewing the Farm Credit System. FCSAmerica serves Iowa, Nebraska, South Dakota and Wyoming.